Kamal Haasan fans, rejoice. The trailer of his much-awaited film Vishwaroopam 2 will be launched digitally on June 11 by superstars Aamir Khan, Jr NTR and Shruti Haasan (Kamal Haasan's daughter). On Friday, Raj Kamal Films (the production house) made the announcement on Twitter. 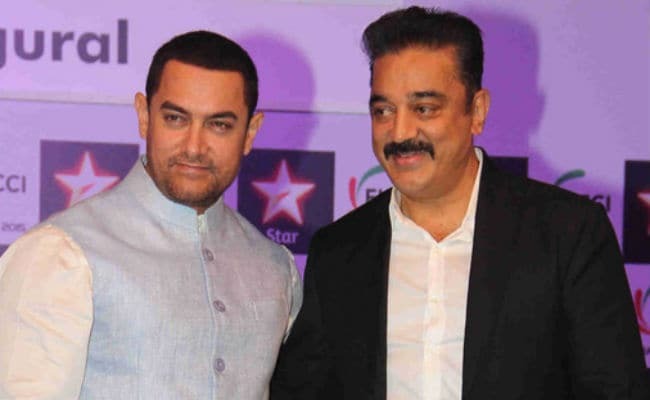 Aamir will release the Hindi version of Vishwaroopam 2. Jr NTR and Shruti Haasan will launch the Telugu and Tamil versions, respectively. Vishwaroopam 2 is also by directed Kamal Haasan and has been shot in Tamil and Hindi while it's dubbed in Telugu. The Hindi version will be presented by Rohit Shetty and Reliance Entertainment. Read the tweet here. "I am extremely happy that we are coming out with the trailer of Vishwaroopam 2. I have to thank you all for the patience you have had for this sequel and the constant love and support has not gone unnoticed. This film is very close to me and everyone who is a part of this film has worked very hard. I welcome Mr Rohit Shetty and Reliance Entertainment as the Presenters of Vishwaroopam 2. It is the faith of the people in our work that makes us stronger. I hope you all like what we have made with love and passion for you all," Kamal Haasan said in a statement. Vishwaroopam 2 is a sequel to Kamal Haasan's 2013 film of the same name. It stars Kamal Haasan as a RAW agent Wisam Ahmad Kashmiri. Actors Rahul Bose, Pooja Kumar and Andrea Jeremiah, co-star with him. Vishwaroopam 2's release date hasn't been announced as of yet.